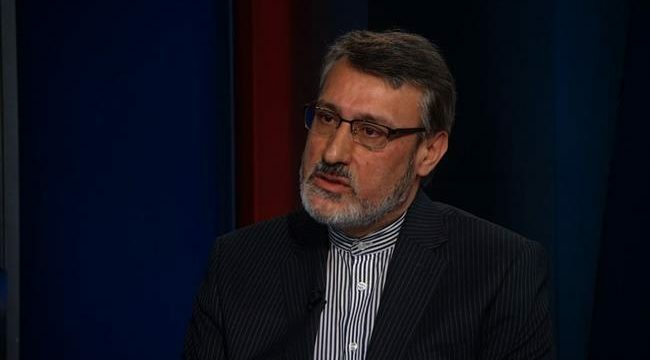 IRNA – Iranian ambassador to UK in a message warned US of walking away from Intermediate-Range Nuclear Forces Treaty (INF). ‘The INF treaty eliminated a category of nuclear forces with a range of 500-5500 km and contributed to the world strategic stability. The US withdrawal and deployment of such missiles will trigger nuclear arms race and will particularly destabilize European security,’ Hamid Baeidinejad tweeted on Monday. The Intermediate-Range Nuclear Forces Treaty is a 1987 arms control agreement between the United States and the Soviet Union. On 20 October 2018, citing Russian non-compliance, US President Donald Trump announced that he was withdrawing the US from the treaty. However, the scope of the US president’s ability to withdraw from Senate-approved treaties without Congressional approval has been called into question. In 2014, former US President Barack Obama accused Russia of walking away from INF treaty, but the US took no measure at that time. In reaction to US threats, Russian Foreign Minister Sergey Lavrov announced that Russia will retaliate. Washington has not started the official stepts for leaving the treaty, he said. Special steps have been identified for withdrawal in the treaty, Lavrov added.